Mercedes-Benz has been creating automobile masterpieces longer than most of the world’s population has been alive. They have what it takes to make a car that will turn heads. And they are not shy to show-off this skill. 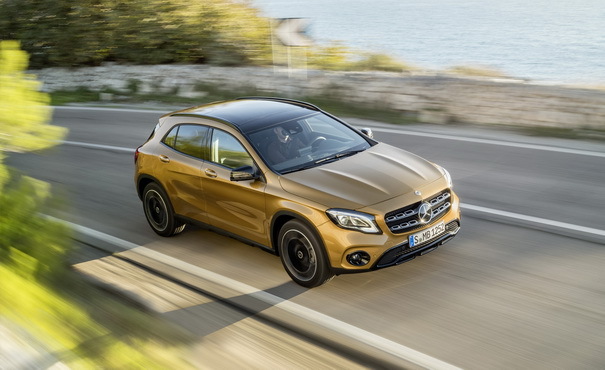 The 2018 Mercedes-Benz GLA is just another example of this excellence at work. The subcompact SUV from the master carmakers is one of those cars that will burn an impression on your mind when you look at it. There are a lot of new features that help to cause this hard to remove imprint. Being part of the driving experience offered by the 2018 GLA is an exquisite thing. It will leave you hunting for that online casino websites jackpot if you are not in the income bracket to afford it. The car has been modified from the 2017 model. Easily noticeable alterations to the car include the colour. You can have the car in Canyon Beige. This is a new colour that is now available on the GLA. Then there is the front and the back. Significant work has been put in to cosmetically alter the appearance of the bumpers. The new wheels which range from 18 to 20 inches might be the reason for the change in the bumpers. The grill of a car is the first thing that people see as you arrive. For this fact, Mercedes-Benz has modified the grill of the GLA to give it sharper edges. Clearly, the design was borrowed from the GLS, a big brother worth looking up to. New LED headlamps on the GLA practically try to eliminate night driving. The lights produce natural daylight-like light which illuminates the road ahead fabulously. All the while the tail lights communicate brilliantly with other road users thanks to Stardust technology. When you get inside the car you are greeted with an impressively large infotainment with Apple Carplay and Android Auto. And when you want to reverse the improved rear camera takes over the display to guide you out. Clearly, dynamite and really cool cars come in small packages.